This weekend saw me turn over another number… IT.IS.JUST.A.NUMBER…., right? The best thing about birthdays is the celebrating with friends and family and of course, the gifts! These sneaks were on my wish list and actually, have been for months… I've been after some pure white Pumas for 6-7 months, if not longer!! 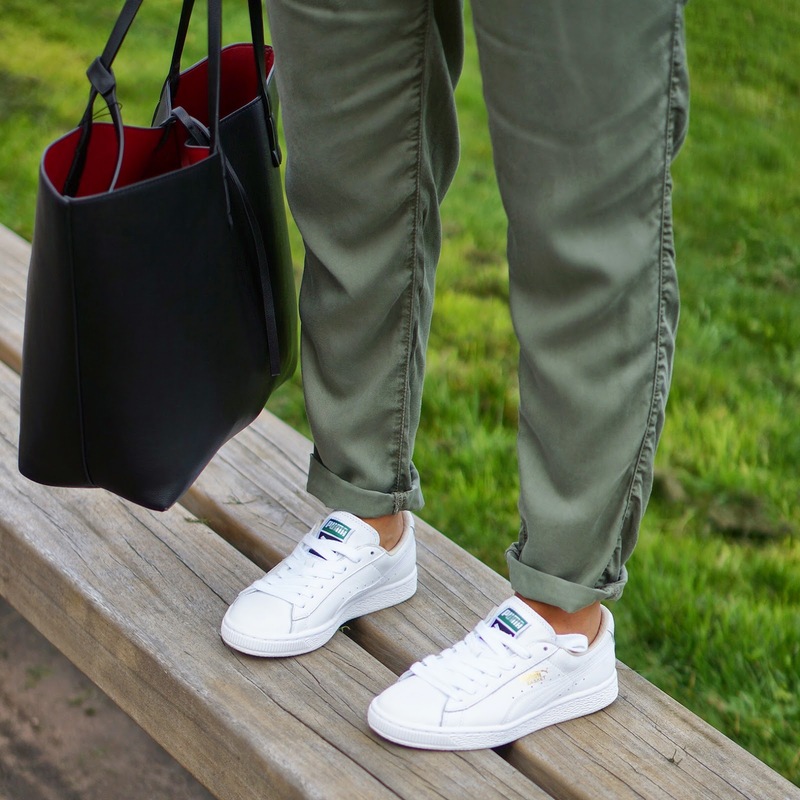 I do love the whole 'sneaker/Stan Smiths' styling that's around at the moment and let's be honest, they are stupidly comfortable too….I swear my little trotters have let out an audible sigh of relief… flat boots…sandals and now these…. Oh and last up, the most amazing (and brutally honest) card from my sister! Happy Bday to Tom too!!!! Thanks Gorgeous!! You can tell Mr G is back in town! Awww greeting passed to Tommy, thanks! This looks so cute! 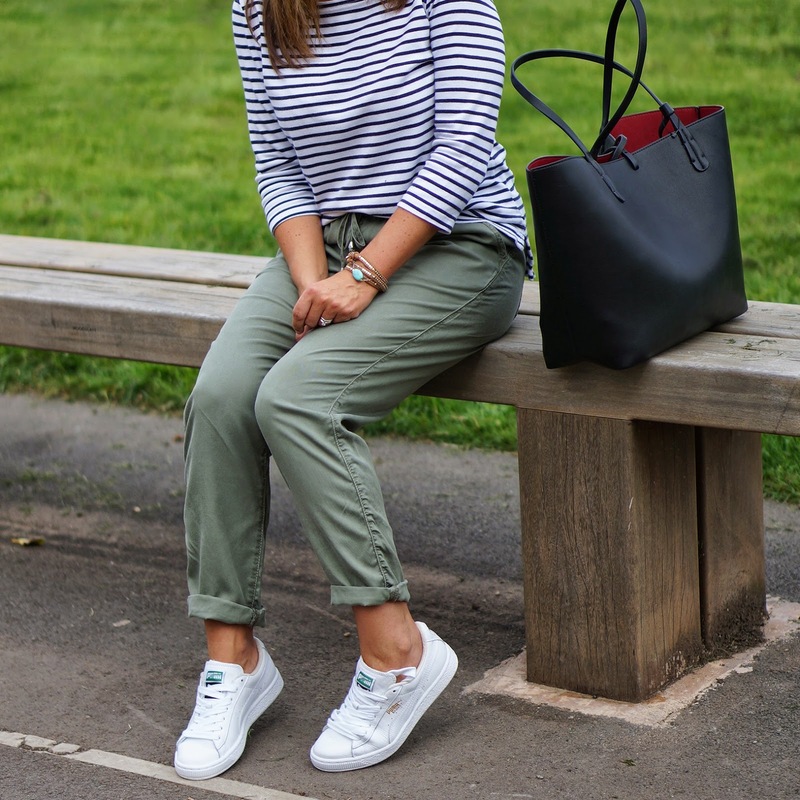 Stripes and khaki! You cant go wrong!